My recent article Laughter As A Complementary Therapy For People With Parkinson’s shared information about how a therapeutic approach to laughter, such as laughter yoga, may benefit people living with Parkinson’s. The article was written in preparation for a laughter yoga class with a Parkinson’s Support Group. The class was recently conducted and various benefits were observed, including some benefits that I had not originally contemplated. This article provides anecdotal evidence gathered through observations during the class, as well as personal interviews with participants afterwards. Two interviews were conducted by me, with participants who were keen to speak with me. The rest were conducted by the Group Facilitator two days later, whom I also later interviewed. At the start of the class, it was important to establish safety within the group. 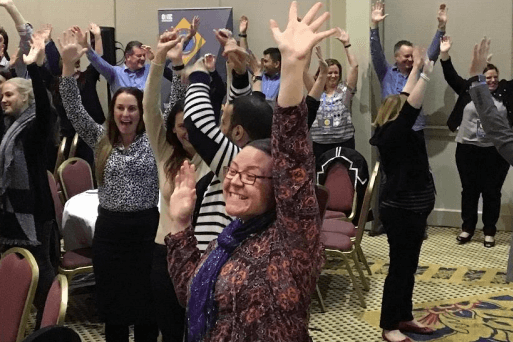 Participants were encouraged to do the best they could and if something didn’t feel comfortable, to do what felt right for them or just smile and enjoy the sound of laughter around them. Early on, a participant joked that the group may be laughing at him. 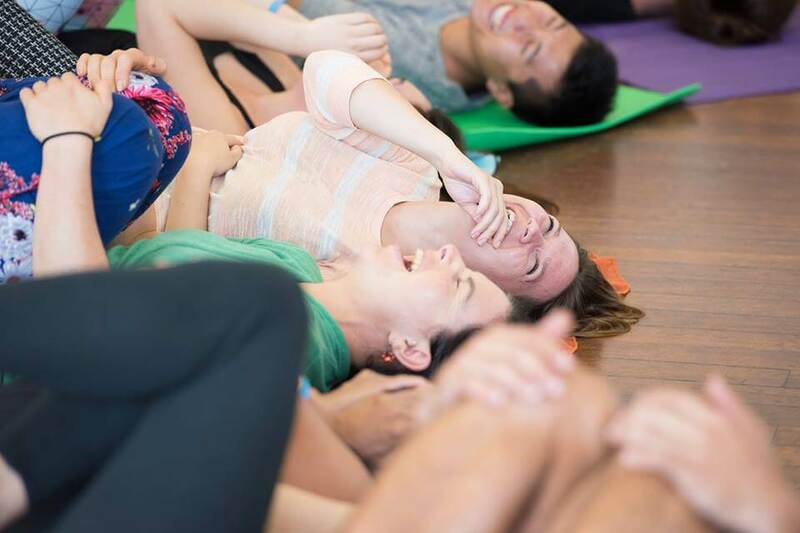 It was also important to establish that in laughter yoga, we laugh with people, not at them. We can laugh at ourselves or with someone who is laughing at him or herself, but not at people because that does not spread joy. Another symptom of Parkinson’s is decreased facial expression or ‘masked face’ and people may find it difficult to use their facial muscles. ‘‘Getting people to laugh encourages them to use their facial muscles. It shows you can laugh even though you may not be able to use all the facial muscles’’, the Group Facilitator expressed. None of the participants reported any negative feelings from the session. One particular participant needed to leave the session promptly due to his routine, so I was not able to speak with him afterwards. I was however, able to speak with his wife. She said, ‘‘With Parkinson’s, you can’t express what you really feel. People say ‘Look at that angry man out there.’ When this participant shared his feedback with the Group Facilitator days later, he said, ‘‘I loved the hand exercises. My mood was up and I thought about the session all of that day and the next.’’ In addition, he wanted to pass the following document A Letter For My Friends onto me and I would like to share it too. It was clear from this initial session that the overall mood of the group improved and many group members reported that they had a positive experience. 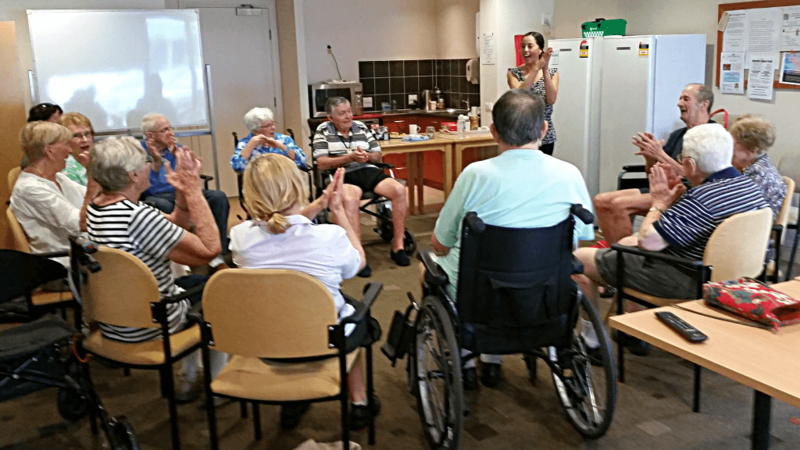 From this experience, it seems that further research on Laughter as a Complementary Therapy for People Living with Parkinson’s would be beneficial, particularly to determine whether the results could be sustained over a period of time. 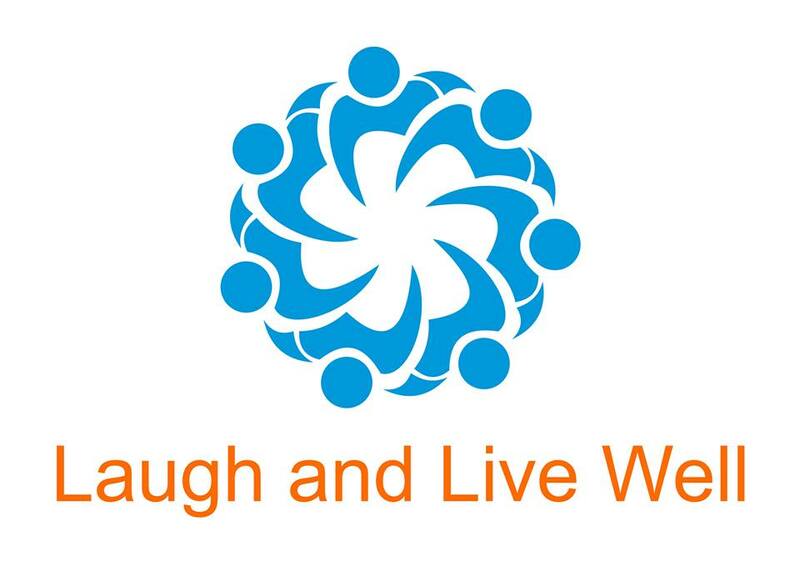 Laugh and Live Well is pleased that this article has been published as a guest post by the Laughter Online University, a world leader of laughter online education.